(born 1931) – Illustrator, graphic and poster designer. He studied graphics in Warsaw Fine Art Academy (ASP) under Professor Tadeusz Kulisiewicz. He graduated with a diploma in 1955. Treutler is recognised internationally for his participation in the “School of Polish Posters”, designing film, exhibition, sport and national information posters for various central agencies. He has created over 150 poster works alone; several book cover designs and logos. 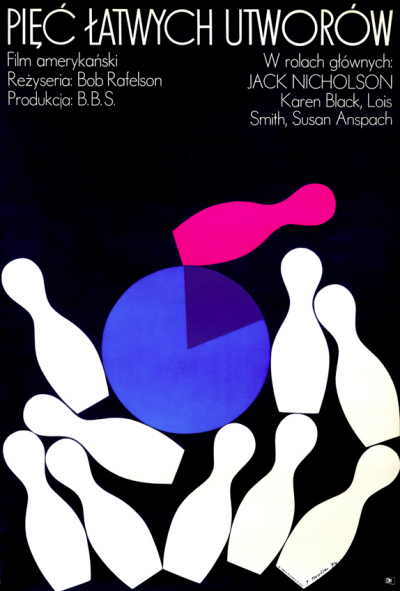 The artist received the title of Graphic Expert from the Polish Ministry of Culture in 1977. His posters and illustrations are confident in drawing, bold in colour; distinguished by abstract design typical of the Polish poster artist, underlining the strength of the message. A characteristic feature of his work is freedom, diversity and a vividness of his lines.